This article first appeared in Personal Wealth, The Edge Malaysia Weekly, on January 22, 2018 - January 28, 2018. The emergence of insurance comparison websites and apps has encouraged Malaysians to be more discerning consumers. However, choosing the right product or policy can still be confusing to many, especially the younger generation. Professional assistance would go a long way in helping to demystify the more complicated products such as life and medical insurance. 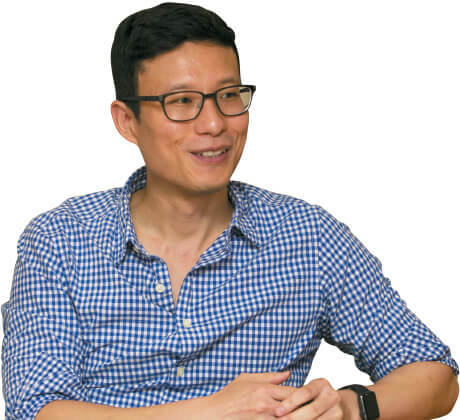 Also, consumers would prefer to learn more about these policies from a neutral party, says iBanding Services Sdn Bhd co-founder and director Luke Roho. iBanding was established in 2016 with the aim of narrowing the gap between consumers and insurance agents. The independent research company uses a knowledge-based website to help Malaysians make informed decisions on all things insurance. It is the first company in the country to provide a public rating system for agents. The iBanding website provides two directories — one for insurance and takaful agents and another for insurance companies — which consumers can use to locate an agent near them. They are then encouraged to have face-to-face meetings with the agent to discuss insurance policies or any complicated matters. “Nowadays, the younger generation does a lot of research on the internet before buying something. The directory can help as it connects them with agents who may not be found solely through word of mouth,” says Roho, who has 15 years of experience in the German and Swiss insurance industries. “If you are not an insurance expert, [the process] can be overwhelming. This is where an agent can help because he deals with this on a daily basis, and our iBantu app is a platform that links customers with agents who can be rated and reviewed. “When a customer rates an agent on the app, it has a stronger weightage in reflecting the agent’s performance because the user is a confirmed customer. The web reviews have lower weightage because we cannot determine 100% if the user is really an agent’s customer. Agents who subscribe to iBanding’ services are offered gold or platinum memberships. Those who have paid their annual fees carry gold or platinum stickers and are shown first in the directory. This is similar to Google or Tripadvisor, which shows paid listings first. Like travel fare aggregators booking.com and tripadvisor.com, iBanding.com lets customers leave reviews and ratings of the agents and insurance companies. To avoid bogus reviews and ratings, iBantu filters them through a fraud-checking software. There is also a “bad review rescue service”. “If a paid agent receives a bad review, we will follow up with the customer to better understand the problem. This is to ensure that the bad review is valid and not an agent disparaging another agent,” says Roho. The system allows for a natural selection of good agents, he points out. Agents who are open to receiving feedback, provide great service and constantly improve, will sign up for the directory because they want to get more customers. The app, however, only allows users to rate and leave reviews on agents, not insurance companies. “We did not think of adding the rating function for the companies because it does not provide an advantage over the regular website. Rating and reviewing insurance companies is not something Malaysians do daily, so we thought a rating on the website would be enough,” says Roho. The transparency the directories provide also encourages insurance agents and companies to provide better services. Roho says insurance companies generally evaluate their agents’ performance based on the number of insurance policies they sell, not the quality of service. “If they can sell a lot of insurance, they become Platinum or Million Dollar Round Table (MDRT) agents. This is how they measure how good the agents are at selling insurance, but not how good their services are. That is why we are filling this gap today,” he adds. Roho, who is of Korean descent, first came to Malaysia in 2011 as a Zurich Insurance employee when the company bought Malaysia Assurance Alliance. When he was assisting in the integration, he realised that filing insurance claims was time-consuming as it involved a lot of human interaction and paperwork. In Europe, the process is easier and insurance companies are quick to pay out claims. Consequently, he quit his job and started iBanding with a Malaysian who used to work with an internet company. iBanding created the iBantu app to help customers better connect with their agents and vice versa as well as to upload and manage all their insurance policies on one platform. There is also an accident guide, which helps users in making motor accident claims. “Insurance companies have their own mobile apps, but each app only allows the user to manage the insurance policies from that particular company. The iBantu app solves that problem by being independent of insurance companies,” says Roho. “One of our goals is to do away with the need for going to a police station to report minor accidents and have insurance companies process the claims through the app instead. This makes it faster for customers and simpler and cheaper for insurance companies. As the app allows users to store all their insurance policies in one place, an intelligent self-test can be conducted to find out whether one is over or underinsured. The app then provides recommendations on which products the user can consider buying or getting rid of. iBanding Services Sdn Bhd co-founder and director Luke Roho says insurance companies are getting better at delivering services. This is one of the outcomes of the phased liberalisation of the motor insurance industry. “If you can only charge so much and everybody charges the same, then there is no reason for you to be better because you get the same amount of money. However, now that companies can set their own prices, they can improve in providing better services, which is great for Malaysia,” he says. Roho believes in the detariffication’s ability to make roads safer by encouraging better driving behaviour and consequently preventing fatal accidents. “Safe drivers can now get cheaper insurance. The reason we pay so much is we had to pay for the bad drivers as well. It is fairer now as the bad drivers have to pay more for their risky behaviour,” he says. Dangerous drivers also have to pay more because insurance companies not only charge customers based on how they handle their vehicles but also factors such as their lifestyles and occupations. The effects of detariffication can be seen in the way consumers buy insurance. According to the preliminary findings of iBanding’s 2017 motor insurance survey, 45% of about 10,000 respondents did not compare insurance deals, which is a significant drop from 70% in 2015. He foresees more insurance companies adopting telematics to help them determine the price of insurance. AXA Affin Insurance, which offers the first ever telematics motor insurance in the country, fits a special device in the car to monitor the policy holder’s driving behaviour, among others, to assess the level of protection needed on the road. “Insurance companies also ask customers about their profession. If you are, for example, a pilot or flight attendant, then you may get a bigger discount because you are rarely on the road and the risk of you getting into an accident is lower,” says Roho. He sees more insurance technology (insurtech) players coming to the fore using the peer-to-peer (P2P) model as it is more budget-friendly. This model allows them to bypass the RM2 million requirement to start an insurance company. Bank Negara Malaysia, through its regulatory sandbox, allows the model to be adopted on a trial basis. “Also, P2P insurance is disruptive because banks do not make money out of underwriting. A bank would look at your salary slips for the past three months, CTOS score and what car or house you have to gauge your ability to pay off your loan because they do not know you. On the other hand, P2P is based on trust and relationships instead of financial liability,” says Roho.